Wear safety glasses any time there is a risk of eye injury due to impact from flying debris. Whether you’re working on the rig, on-site or the laboratory, include safety glasses in your daily safety gear! Modern safety glasses look as good as any pair of sunglasses you find in a department store and they provide eye protection. 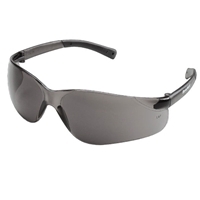 Buy stylish safety glasses made by Crews, Uvex, Gateway Safety and no one will know you’re wearing protective eyewear. They look that good! But don’t forget the real reason to buy safety glasses -- the eye protection. 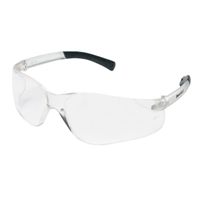 Most safety glasses meet the ANSI Z87.1-2003 standard for impact resistance. Look for the Z87 stamped right on the frame. Safety glasses lenses are made of polycarbonate, making them lightweight and strong enough to protect from eye impact. Professional Safety Supply wants to help you protect employees and a good pair of safety glasses should be standard equipment.